I met my husband the same week I graduated from college. Which means I was in my early twenties, broke, and busy with school/work/internship. I did not have the means, money or desire to cook. If I ate at home it was normally instant mashed potatoes, eaten directly from the pot I cooked them in. If I wanted to step it up a bit I would nuke a potato, add some ground beef, salsa and sour cream. If I wanted to go gourmet I would stick chicken, carrots and potatoes in a baking pan and pour a bottle of Italian dressing over it. But when Michael and I met I was (finally!) down to just a 9-5 job. And I wanted to impress him. So I began to cook. I remember the first meal I made was spaghetti. I’m sure the Italian chicken was on the roster too. I started to get better and a little more confident. Expand the roster. So when we got married two years after we met and bought a house, I decided I was ready to host Passover. We invited my mom and Michaels mom and stepdad. 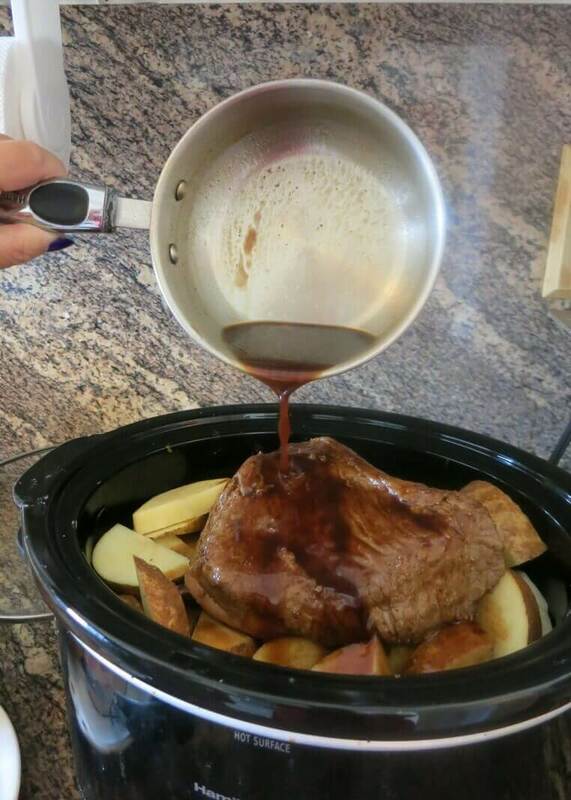 It was during the week, so I got up early and prepared a pot roast for the crockpot. 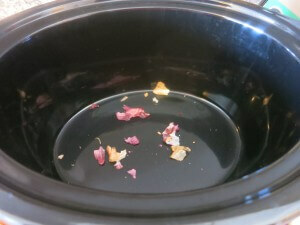 Then I went to work, happily anticipating how great my house would smell when I got home. My house didn’t smell good when I got home. Granted, it didn’t smell bad (unless you count the ever present smell of dog). There was just no smell at all. Because I had neglected to plug in the crock pot. Yup. Cooking 101 fail. I called Michael, freaking out, convinced we would need to cancel Passover. Michael, rational man that he is, just stopped at Boston Market on his way home and picked up chicken and side dishes. Passover was saved! But I made the mistake of telling the parents about my mistake, though, and 14 years later I’m still being asked every Passover if I I remembered to plug in the crock pot. Cause that just never gets old. Today I remembered to plug it in. And even turn it on. Which is good because I was making a delicious Onion and Balsamic Pot Roast, and I would have cried if I had to throw it out. I found the recipe on Kalyns Kitchen. 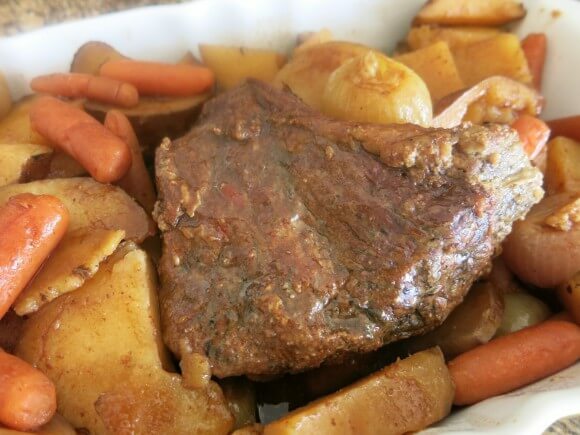 And it became one of only two pot roast recipes that Michael likes. So I don’t really alter the original recipe. The only changes I made was to replace steak seasoning with some basic spices and to use small boiler onions instead of cutting up a large onion. And I mainly do that for aesthetic reasons – I think the small bulbs are prettier on the plates. I also add in potatoes and carrots because 1) love how the balsamic sauce flavors them and 2) as always, I’m about the one pot meals. Then prepare the rest of the recipe. And I know is kind of involved for a crock pot recipe, and even entails using two pots in the prep, but I swear, it’s worth it. Look at how gorgeous that browned meat is. And how deep and rich that sauce is. This is the sauce that is going to give your roast all the flavor, including the distinct balsamic taste. So do the work, then plug in and turn on your crock pot, go about your day, and come home to deliciousness. And possibly a Passover Seder. Rub seasoning salt, garlic and onion powders into all sides of the roast. Heat olive oil in a saucepan. Brown roast on all sides. While roast is browning, pour beef broth into small saucepan. Heat on high, till it reduces down to 1/2 cup. Remove from heat and let cool slightly. Add in tomato sauce and balsamic vinegar. Place onions, potatoes and carrots in crockpot. Place roast on top. 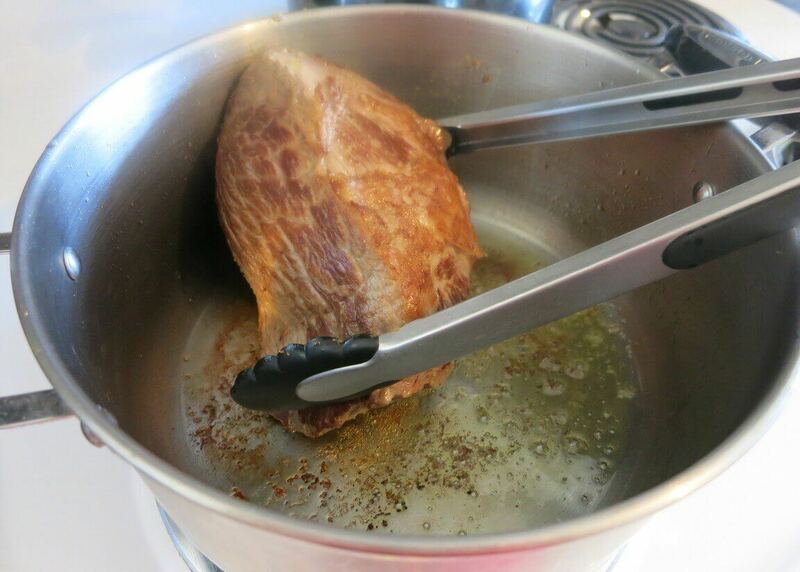 Pour 1/4 cup water into the pan you browned meat in. Heat and deglaze the pan, making sure to get all the browned bits from bottom of pan. Add the drippings to the balsamic sauce. Pour the balsamic sauce mix over the meat and vegetables. Cover. PLUG IN and TURN ON low, cook for 6-8 hours.